Tamiya German Tank Panther Ausf.A « Big Squid RC – RC Car and Truck News, Reviews, Videos, and More! Just announced by Tamiya is the German Tank Panther Ausf.A. This new tank has the incredible scale detailing that Tamiya is famous for, plus it comes with a full control unit. An interference free twin stick 2.4GHz transmitter is included, but the real highlight is the tank’s ABS plastic body. From nose to tail, the folks at Tamiya did an incredible job of faithfully reproducing the original Panther. 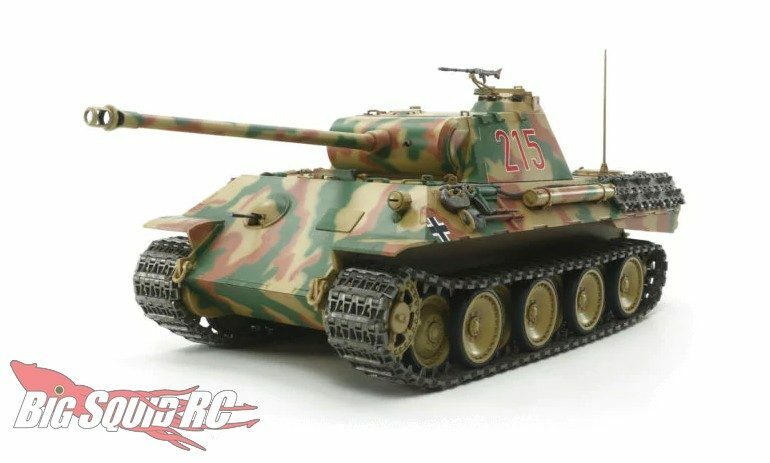 The Panther Ausf.A has a part number of #56605 and you can hit up This Link to visit the official Tamiya website. Get more Tamiya News on BigSquidRC.